To sign up for a volunteer position please fill out this form. The largest number of workers at a rally are out in the forests working on individual stages in the route. 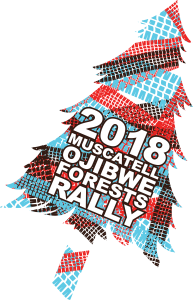 A “stage crew” is a group of 10 to 20 volunteers who are fully responsible for setting up and ensuring the safety of a section of road to be used as a stage in the rally. Many stage crews will handle several stages throughout the rally. Experienced stage captains and co-captains coordinate the work of each group. Workers time cars in, count down and start the rally cars, as well as handle the finish control and timing. Crew members will also block all intersecting roads to prevent non-rally traffic from interacting with competing cars, all the while managing the crowds at the spectator areas.